They sailed on a warship. Some say that they wanted to show their military might; others that they felt too old—although they were both barely over 60—or too embarrassed to arrive for a state visit in an outdated two-engine Ilyushin propeller plane (1). 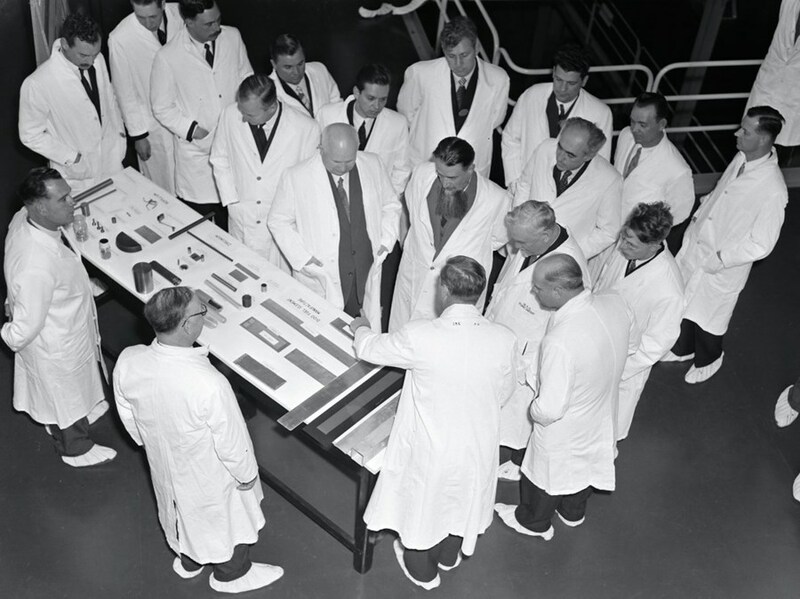 Igor V. Kurchatov (in the middle, with beard) during his visit to the Atomic Energy Research Establishment in Harwell on 26 April 1956. On his right is Nikita S. Khrushchev, to his left is Nikolai A. Bulganin. Opposite is Sir John D. Cockcroft, Director of the Atomic Energy Research Establishment. On the table, mockups of elements from the material testing reactor DIDO, which had just entered operation, are exhibited. Whatever the reason, the arrival in Portsmouth, UK, of a Soviet cruiser (escorted by two destroyers) carrying Nikolai Bulganin, President of the Council of Ministers of the USSR, and Nikita Khrushchev, Secretary of the Central Committee of the Communist Party, caused a sensation. The date was 18 April 1956 and this was the first-ever visit of Soviet leaders to the West. The invitation had been extended by Prime Minister Anthony Eden at a Summit meeting held in Geneva the year before. 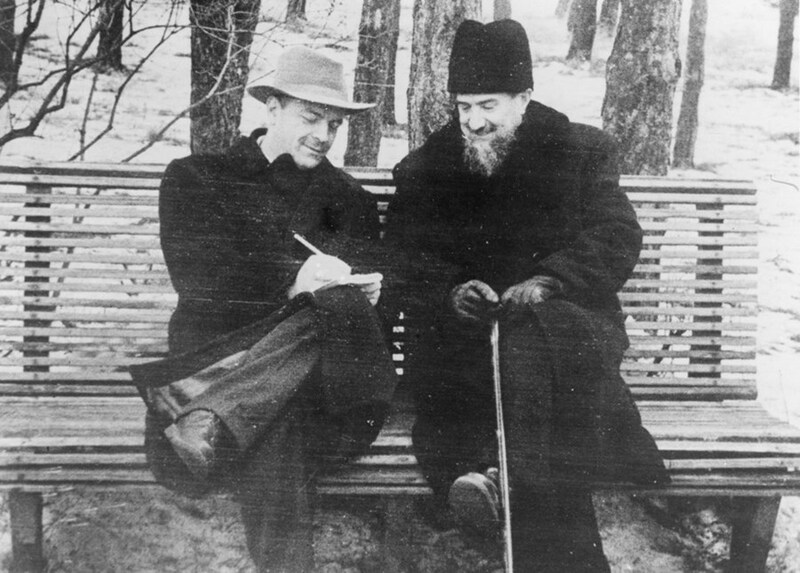 Three years after Stalin's death, the time seemed ripe for an easing of tensions between the two "blocks" and for a shift toward "the peaceful coexistence between states with differing political and social systems," to use Khrushchev's words to the Twentieth Congress of the Communist Party in February 1956. The April 1956 visit marked a first and decisive step in that direction: Soviet and British leaders were to discuss security in Europe and tensions in the Mideast, the expansion of trade and, hopefully, to "reach an agreement on cooperation in the peaceful use of nuclear energy." The Soviets were confident. Having tested their first H bomb in 1952, they had reached strategic balance with the US—the sine qua non condition for "peaceful coexistence" with the West. Accompanying Bulganin and Khrushchev to the UK was the man to whom the country owed this achievement. Igor Kurchatov (1903-1960) had been running the Soviet nuclear program since 1943. 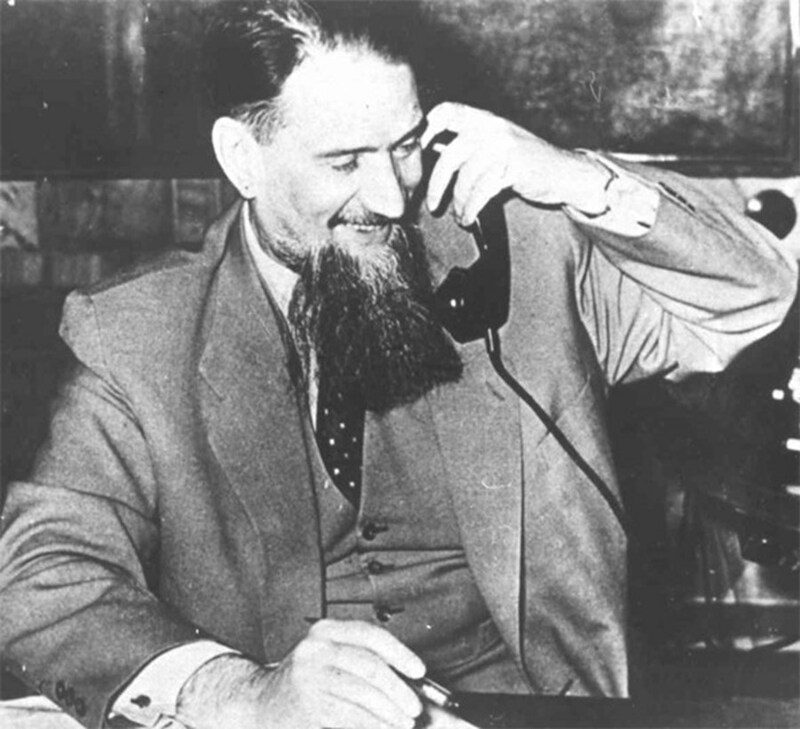 Now that the USSR was on an equal strategic footing with the US, "The Beard," as he was known to his colleagues at the Laboratory of Measuring Apparatus of Academy of Science (in fact, the Institute for Atomic Research) could now focus his remarkable energy on another quest, maybe the most promising but also the most difficult of all: "the thermonuclear synthesis problem" —in other words, the harnessing of thermonuclear energy for peaceful uses. And with the blessing of his political patrons "The Beard" was ready to share his results, doubts, and expectations with his colleagues from the West. It is hard to imagine, from a distance of 60 years, the impact and echo of Igor Kurchatov's conference at the Atomic Energy Research Establishment in Harwell, Oxfordshire — the Holy of Holies of Britain's nuclear research. "In one bold stroke," writes Robin Herman in Fusion, The Search for Endless Energy (2), "the Soviet Union overturned the rules of the Cold War information game. Kurchatov laid bare the fact that for the past six years his nation had been conducting research in controlled fusion." Soberly titled "The possibility of producing thermonuclear reactions in a gaseous discharge," his address was a watershed moment in the young history of fusion research. Not that it contained any revelation. The 300 Harwell physicists who attended the conference discovered that Soviet scientists "had been following very similar lines of research into magnetic confinement as the UK and the US," write Gary McCracken and Peter Stott in Fusion the Energy of the Universe. Like their American and European counterparts, the Soviets had developed straight and toroidal pinch experiments, observed neutron emissions and short spurts of hard X-rays in deuterium plasmas, and acknowledged that quite a number of facts "remained to be explained." Backed by equations, diagrams and high-speed photographs of plasma discharges, Kurchatov's speech did not contain an explicit call for international collaboration. But in shedding light on methodology and experimental results it challenged scientists in the West to reciprocate. While scientists on both sides were eager to collaborate, many in Western government circles were reticent, especially in the US where it was felt that the Soviet opening was a ruse—a trick to lure politically naïve physicists into giving away precious state secrets. 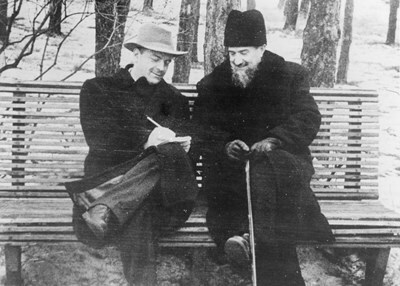 While Kurchatov headed the ''Institute'' where fusion research was conducted, the investigative work was conducted by Lev Artsimovich (1909-1973) — a major role that Kurchatov acknowledged in the introduction to his Harwell speech. It took time to convince politicians that, at that stage, collaboration in the field of fusion was about fundamental science and didn't pose any threat of strategic or military nature. Only in September 1958, in Geneva where the United Nations held its Second International Conference on the Peaceful Uses of Atomic Energy, did the seeds that were sowed in Harwell begin to sprout. There, for the first time and with the blessing of their governments, the main actors on both sides of the Great Divide—Artsimovitch , Teller, Spitzer, etc.—met face-to-face and exchanged notes. "They had a tremendous amount in common," writes Robin Herman, "an idealistic goal, a daunting intellectual problem and [...] a parallel history of frustration." A "world fusion community" was born, determined to embrace what Kurchatov's speech had described as "the extraordinarily interesting and very difficult task of controlling thermonuclear reactions." Sixty years after Harwell, the task — considerably longer and more difficult than anticipated — is nearing completion. (1) The twin-jet Tupolev Tu-104 was still being flight-tested at the time of the visit. It was the world's second jetliner to enter commercial service in September 1956. (2) Fusion, The Search for Endless Energy, by Robin Herman: Cambridge University Press, 1990. Click here to view a video of the Soviet delegation's visit to Harwell on 26 April 1956.